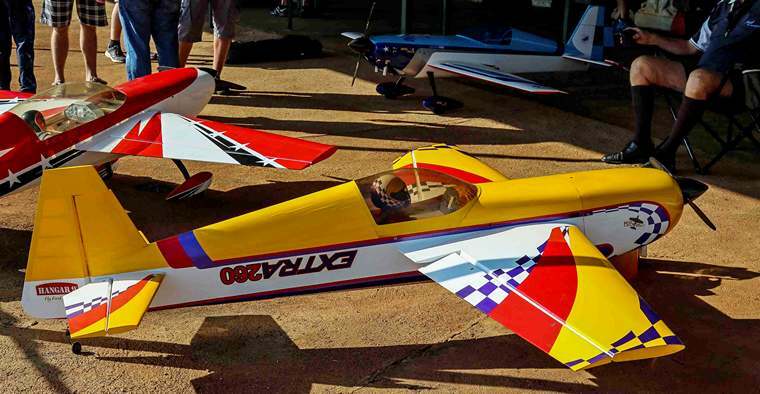 The first Gauteng Large Scale Aerobatic (LSA) championship event of 2017 was held at Barnstormers RC Flying Club on the 12th of February, east of Kemptonpark. 2016 IMAC Sequences were flown and there were also optional unknowns- and freestyle sequences. 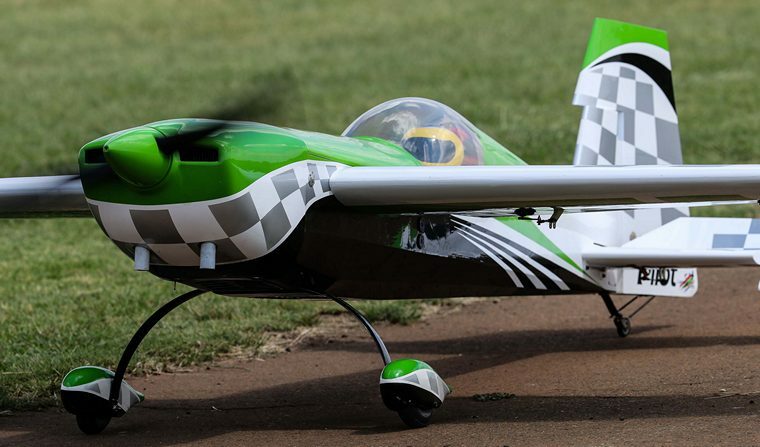 The pilots briefing was held just after 8 o'clock by the LSA chairman, Owen Vuyk, Five classes were contested, namely Basic, Sportsman, Intermediate, Advanced and Unlimited. Sequences were flown twice over two rounds for each class during the day. The Basic Class was relatively advanced and included amongst other, two spins-, Reverse Half Cuban Eight and humpty dumpty square loop manoeuvres. 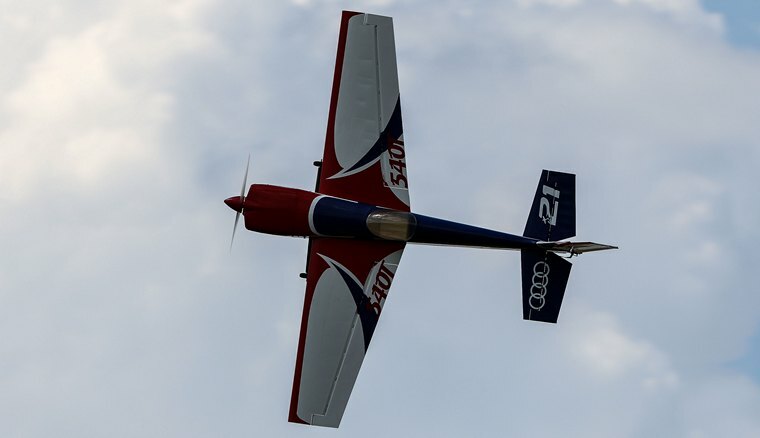 Advanced aerobatic manoeuvres were stepped-up as the classes progressed up to Unlimited throughout the day. Points were scorched out of 10 for each manoeuvre and strong emphasis was put on presentation whereby competitors were judged during the day by at least 3 judges that rotated for each class. If a zero was given, it was explained and at the next round improvements were observed by all. Lessons learnt, were valuable. Stall turns and spin manoeuvres were explained after the first round for the Basic Class. Discussions continued throughout the day among competitors about certain manoeuvres. 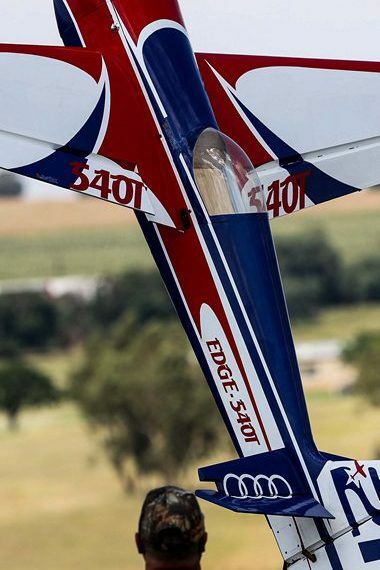 A 37% size scale Edge 540 Pilot RC kit in the typical Red Bull Air Race Hamilton watch livery is powered by a 120cc DLE twin-cylinder petrol engine. 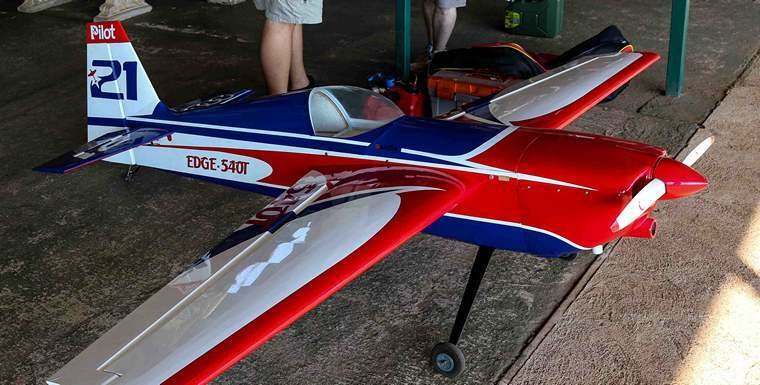 Some other large scale aerobatic model aeroplanes included another Edge 540(T), Extra 260, Extra 300 SC and lastly the composite Extra 330 LC of Ian Edwards. Most of these aeroplanes are manufactured from ply- and balsa wood and weighs considerably less than the latter advance composite aeroplane. The day was concluded by two freestyle sequences. Hereby a competitor was given four minutes to do his display on the sound of music he chose beforehand. 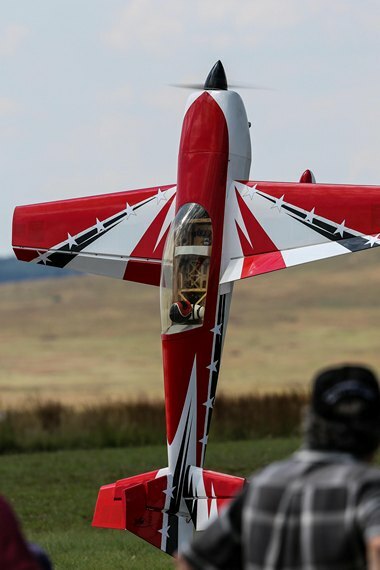 Aeroplanes were put to their limits and some manoeuvres were unbelievable in terms of agility for a large scale aerobatic aeroplane to be thrown about in the air continuously, stop dead and prop hanging just centimeters above the ground. The next regional round will be the KZN LSA event at Howick on the 19th of February 2017. The 2nd round for Gauteng is on the 9th of April 2017 at RMAC, corner Swartkoppies and Klipriver Roads, Johannesburg. 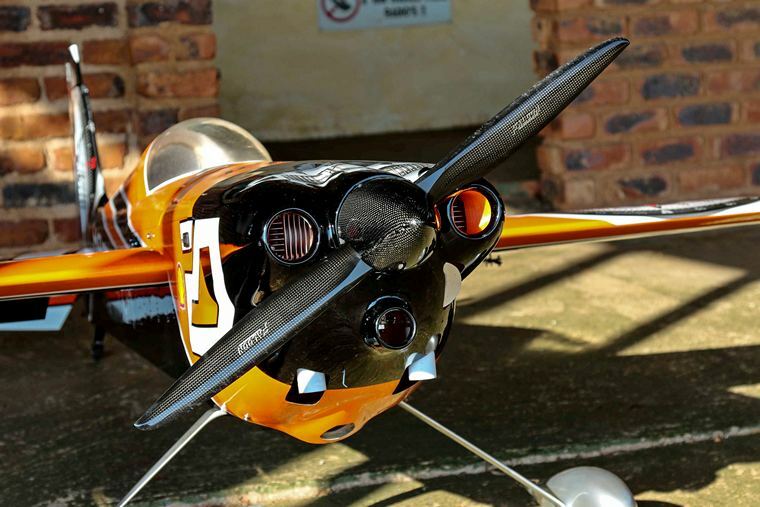 For more information, visit www.largescale.co.za or the Facebook Page: "Large Scale Aerobatics South Africa".